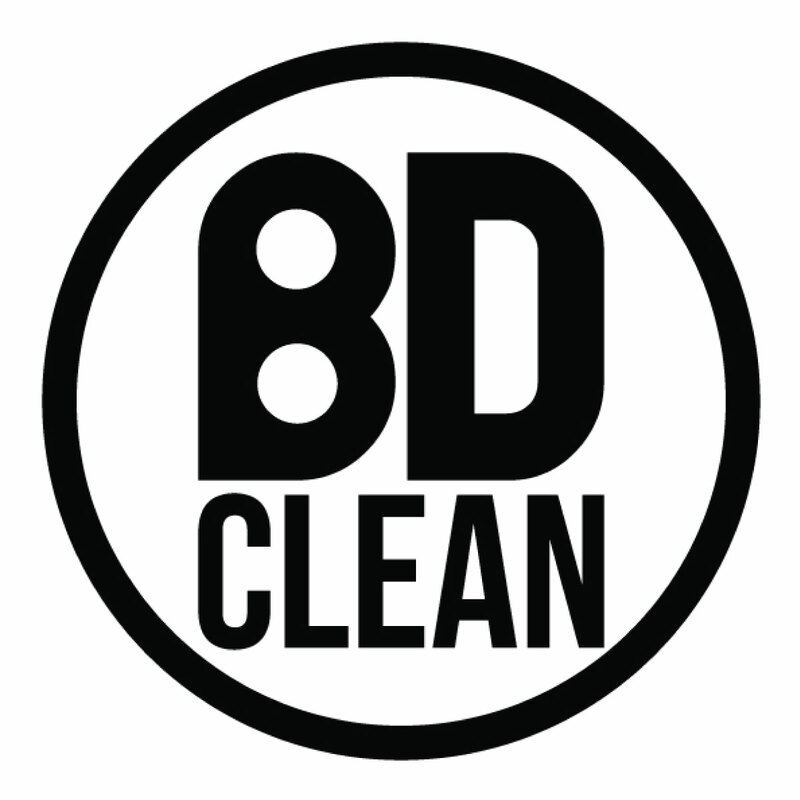 The BD Clean Interior Gel Dressing is a high quality interior cleaner that packs a punch. Silicone-free, water-based and pH neutral, this interior dressing is specially designed to help you clean your dashboard, the interior of your car and your trims, quickly and easily, without any muscle power from you. This specialist interior cleaner gel is fast acting and strong, removing all dirt and fingerprints from the dashboard and all other types of plastic surfaces, leaving a professional and non-greasy finish. Our high quality plastic dressing is formulated with a special UV protection which helps to protect your plastics, dashboard and interior from strong sunlight that could bleach or discolour parts of the car. 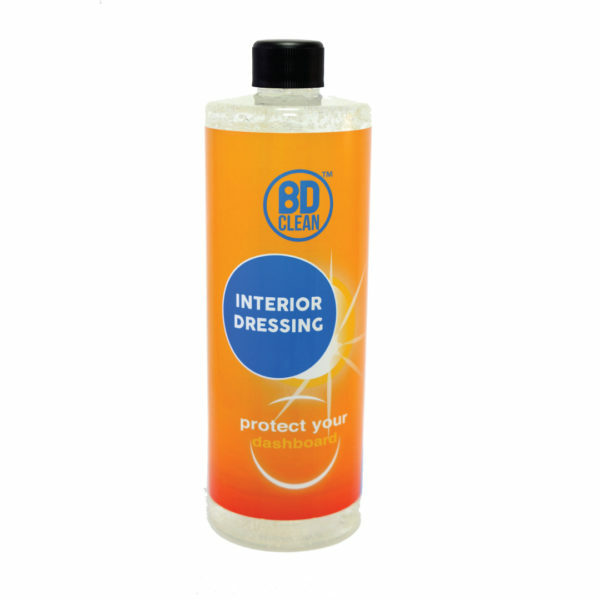 As soon as the interior of your car becomes discoloured by the sun there is very little that can be done to make it look as good as new, our interior dressing acts as a preventative measure to this by protecting it, which is why you should start using this product as soon as possible. 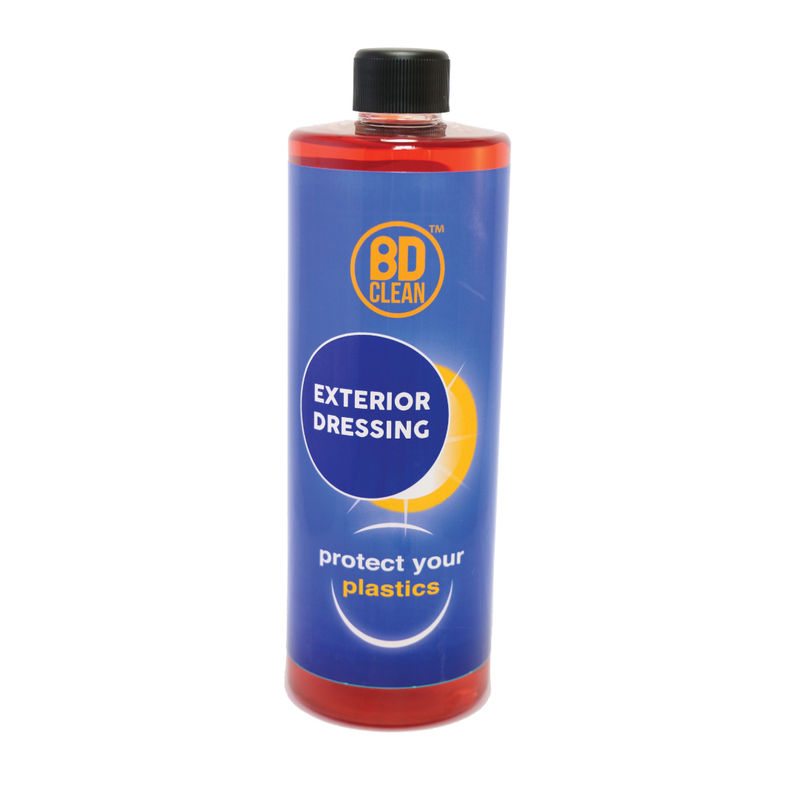 Not only does our excellent dash dressing provide your interior with a high level of protection is also leaves a superb, original and clean looking matt finish, making your car look almost as good as new and leaving it smelling good too. In making sure the outside of our car looks good we often forget to clean the inside properly, this interior cleaner is designed to make the inside of your car look just as good as the outside. This is guaranteed to increase your driving pleasure immeasurably, imagine slipping into your almost new car to take to the wheel for the first time after it’s been thoroughly cleaned, smelling and looking new again. 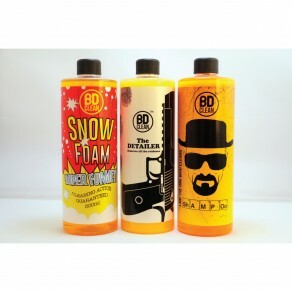 This product is available in a 250ml bottle. Before you begin using the specialised interior cleaner get a spare cloth and give the interior of the car a wipe over. Try to remove all dust and anything lose on the surfaces. Don’t worry about making it look clean just yet, that’s what the dash dressing is for. Apply the plastic dressing to the interior of your car, your dash and anything plastic that requires cleaning, use a clean and soft cloth to wipe the surfaces and remove all dirt, fingerprints and grime. With a fresh, clean and soft cloth, re-wipe over all surfaces, to really make them gleam. A BD Clean micro fibre cloth would be perfect for this task. If you spot any areas that still have some dirt, repeat steps 2 and 3. 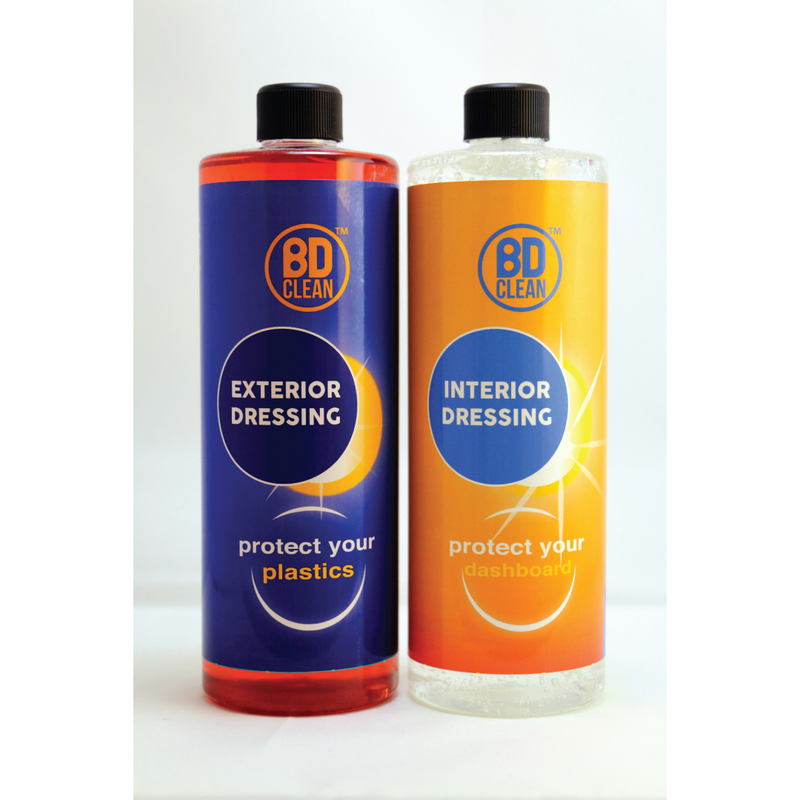 The BD Clean Exterior Dressing Dressing is a high quality Exterior Dressing that packs a punch. gets your faded blacks back to black quickly and easily, without any muscle power from you. This specialist Exterior Dressing is fast acting and strong, can be used on unfinished and unpainted plastic surfaces, leaving a professional and non-greasy finish. Before you begin using the specialised Exterior Dressing get a spare cloth and give the plastics of the car a wipe over. Try to remove all dust and anything lose on the surfaces. Don’t worry about making it look clean just yet, that’s what the Exterior Dressing is for. Apply the Exterior Dressing to the Exterior plastics of your car, use a clean and soft cloth to wipe the surfaces and remove all dirt, fingerprints and grime.